The Silver Rail Tavern in the 1950s, located at 225-227 Yonge Street. Toronto Archives, F1257, S1057, item 073. The last time that I visited the Silver Rail Tavern was in 1995, when an elderly aunt and I visited it for lunch. I chose “the Rail” as I knew that when she had been younger, it was one of her favourite places to dine and enjoy a drink. She was thrilled with my choice, as she had not been inside it for many years. When she stepped in the door, she gushed, “It’s exactly as I remember it. Oh! how I enjoyed sipping the Manhattans here.” The Silver Rail did indeed change very little since it first opened, and this was one of it’s charms. The Silver Rail was the first bar in Toronto that received a liquor license from the LLBO when Premier George Drew, on April 2, 1947, relaxed the laws governing alcohol. Prohibition had ended in 1927, but there remained many restrictions, such as alcohol only being served in public places if it were purchased with food. It was common to see a person having a beer in a licensed establishment, a small sandwich or other low-cost item from the menu on the table, but untouched. The new law made it possible to order a beer or a glass of wine without ordering food. However, when the Silver Rail opened, no women were allowed to sit at the bar, and only one drink per person was permitted on the tables at a given time. Previous to the Silver Rail, on the site had been Muirhead’s Bar and Cafeteria. Its ground-floor space was designed by N. A. Armstrong in 1934, and it included a long bar that extended the entire length of the room. It was aligned with the north wall. Patrons were able to sit at the bar to eat or have a drink. Along the south wall, there were rows of tables. A silver-coloured rail, located beside the stairs that led to the lower level, provided the inspiration for the name of the new bar that opened on the same site— the Silver Rail. It was In 1947 that Louis David Arnold and Michael P. Georges opened the Silver Rail, each investing $50,000 in the enterprise. It was located in the southwest corner of the ground floor of the Ryrie Building, which was on the northeast corner of Yonge and Shuter Streets. The owners of the Silver Rail maintained the basic layout that Armstrong had created for Muirhead’s Bar, but on the south wall, instead of tables, they installed curved booths. In the lower level (basement) of the Rail, there was a classy restaurant, its decor elegant, with immaculate white table clothes. The waiters carried silver water jugs, and were attired in formal white jackets, and black trousers. The restaurant featured live music on weekends, and it was said that on one occasion, Oscar Peterson gave an impromptu performance on its baby grand piano. It was in this restaurant that my aunt and I enjoyed lunch in 1995. The Silver Rail was renown for its excellent cuisine, specializing in steaks, roast beef, and seafood. In the 1940s and 1950s, these were the usual items on restaurant menus in Toronto, as they were based on traditional British fare. The dishes were popular, even though they were rather basic if compared with the city’s multi-ethnic and gourmet menus of today. The bar more than compensated for the lack of variety in food, as it stocked a large assortment of whiskies, brandies, champagnes and a wide range of cocktails. The year it opened, highballs were 45 cents. Its location was close to Massey Hall, around the corner on Shuter Street. This made it a favourite for a drink, either before, or after a concert or event. The first month The Rail was open, it earned $90,000 in profits. In 1948, the artist Eric Aldwinckle was commissioned to paint a large mural for the bar. During the 1950s, the Rail was a favourite of the employees of Eaton’s and Simpsons stores. A friend of mine who worked at Simpson’s in the 1950s, was paid 60 cents an hour. Sometimes he splurged and had lunch at the Rail, paying $1.50 for spaghetti. He considered this to be “high living.” The tavern closed in 1998, and when the space was renovated for a new tenant, Aldwinckle’s mural was lost. My aunt was saddened by the closing of the Silver Rail. Then, only two restaurants remained that she had visited in her younger days — Fran’s (famous for its rice pudding) and the Old Mill in Etobicoke (well known for dining and dancing). Muirhead’s classic Art Deco facade in June 1934. Photo from Construction Magazine, Vol. 27, in the collection of the Toronto Public Library. The Silver Rail Tavern, which maintained many features of the facade of its predecessor, Muirhead’s. Photo from the Ontario Archives. The mural painted in 1948 by Eric Aldwinckle. Photo by Michael McClelland. View looking north on Yonge Street from Shuter Street in 1949. The street is covered with thick timbers to allow the digging of the subway below. The marquees of the Imperial and Downtown Theatres are visible in the distance, to the north of the Ryrie Building where the the Silver Rail was located. Toronto Archives, S 381, fl 0019, id 6288-2. The Ryrie Building in 1950, on the northeast corner of Shuter and Yonge Streets. Toronto Archives, F 1257, S1057, item 0738. The Ryrie Building and the Silver Rail on May 11, 1977. Toronto Archives, Fonds 1526, fl 0004, item 001. The camera is pointed north on Yonge Street in 1980. The Ryrie Building and the Silver Rail can be seen. On the left, a portion of the Eaton Centre is visible. Toronto Archives, Fonds 124, fl 0003, id 0127. Gazing south on Yonge Street from a short distance north of Shuter Streets. Toronto Archives, S1465, f 1305, Item 0002. The space in 2014 at Yonge and Shuter Streets, in the Ryrie Building, where the Silver Rail was located. One of Toronto’s newest “red rockets,” northbound on Spadina Avenue on July 10, 2015. When the city of Toronto was the small colonial town of York, people travelled by horseback, carriage, wagon, or on foot. Even after the city was incorporated in 1834, these methods of transportation prevailed. However, as the city expanded, these means became inadequate. As a result, in 1849, Burt Williams, a cabinetmaker and undertaker, decided to extend his services and transport the living as well as the dead to their destinations. He built several 6-passenger stagecoaches, which he named the Williams Omnibus Line. It commenced at the St. Lawrence Market, journeyed west on King Street, and then, north on Yonge to the town of Yorkville. As Toronto’s population grew further, the Omnibus service also became inadequate. In 1861, the Toronto Street Railway Company (TSR), financed by a group of businessmen, commenced operating horse-drawn Hadden streetcars, capable of carrying many more passengers. The first streetcar route was the same as that of the Burt Williams Omnibus Line. The second route established was Queen Street, from the St. Lawrence Market to Ossington Avenue. The 30-year contract of the Toronto Street Railway Company was terminated in 1891. Next, the Toronto Railway Company (TRC) was granted a 30-year contract to provide transportation services. The same year (1891), the city’s first electric-powered streetcars appeared on Church Street. 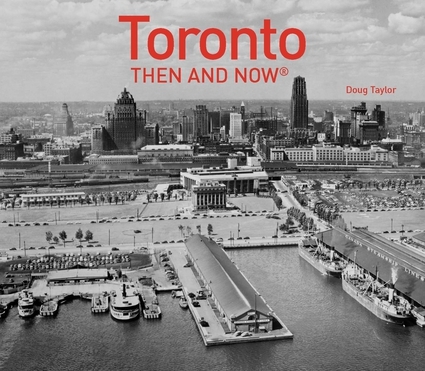 However, as the city annexed more communities, such as Dovercourt and Earlscourt, the TRC refused to build tracks into the new districts, insisting that servicing these areas was not part of their mandate. Because the TRC’s contract did not terminate until 1921, in 1911 the City of Toronto created the Toronto Civic Railway Company (TCR) and became directly involved in owning and operating streetcars. During the years 1912-1917, TCR laid tracks along streets that the TRC were serving but refused to extend. The Danforth line was continued from Broadview to Luttrell, the St. Clair route connected between Avenue Road and Lansdowne Avenue, the Lansdowne line pushed as far south as the CPR tracks, streetcars added on Bloor Street between Dundas and Runnymede, and the Gerrard streetcars extended beyond Greenwood. To meet the needs of the longer routes, the company purchased about 70 new streetcars. In a plebiscite in 1946, Torontonians voted in favour a subway on Yonge Street and also on Queen Street. Construction on the Yonge line began in 1949. Unfortunately, the Queen Street line was cancelled as the federal government failed to provide the funding. Does this situation seem familiar? Canada’s first subway opened in 1954, between Union Station and Eglinton Avenue. The same year, the name of the company was changed to the Toronto Transit Commission. The Peter Witt cars were retired in 1963, but the PCC cars continued until 1995. As these older models were phased out, the CLRV streetcars (Canadian Light Rail Vehicles), as well as an articulated version commenced operating. In 2014, the first of the new streetcars began service on the Spadina line. These will eventually replace all the CLRV cars that remain in service as of 2015. Horse-drawn streetcars operated by the Toronto Street Railway Company in the 1890s. These cars were operated only in the summer as they were not enclosed. View gazes east along Queen Street East from Church Street. The St. Lawrence Hall is visible in the background. A winterized streetcar on Spadina Avenue in 1890. Photo, Toronto Reference Library. In that decade, many impressive homes lined Spadina Avenue as it was an affluent residential street. Electric-powered streetcars first appeared in 1891. This photo shows the cars on Yonge Street, c. 1900. They were essentially larger versions of the horse-drawn streetcar. View gazed north on Yonge from King Street. Avenue Road streetcars in 1912. Toronto Archives, F1231, it.1660. These are the same type of streetcars as in the previous photo. Streetcars continued to increase in size. This streetcar was operated on St. Clair Avenue by the Toronto Civic Railway Company. Photo was taken in 1913, the year the St. Clair line opened. The streetcar is eastbound and was photographed near Wychwood Avenue. A Peter Witt streetcar on York Street on October 30, 1928, the Royal York Hotel under construction in the background. These cars commenced service in the city in 1921 and retired in 1963. Toronto Archives, Series 71, S0071, it6396. A PCC streetcar heading eastbound on Carlton Street near Church Street. Maple Leaf Garden, the Odeon Carlton Theatre and Eaton’s College Street store are visible in the background. Photo, Ontario Archives. A PCC streetcar on Dundas Street West near Huron Street in Chinatown in 1970. A westbound PCC Streetcar on Queen Street East at Church Street in 1970. A Peter Witt streetcar at the Halton County Radial Railway Museum. Visitors to the museum are able to ride aboard these famous old cars. Interior of a Peter Witt streetcar at the museum. A westbound PCC streetcar in the Labour Day Parade in 2012, view gazing east along Queen West at Spadina Avenue. This streetcar is maintained by the TTC to aid tourism and is available for private hire. A CLRV streetcar on King Street East at Church Street, St. James Cathedral in the background. Articulated light rail vehicles (ALRV) on Queen Street, westbound near Yonge Street. Interior of a ALRV on Queen Street. A CLRV westbound on Queen West at John Street in 2013, the Princess of Wales Theatre in the background. An articulated light rail vehicles (ALRV) eastbound on Queen Street West near Bathurst Street in July 2013. The marquee of the old Orpheus Theatre is visible on the right-hand side of the photo.